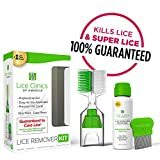 How to get rid of lice is not a question anyone wants to face. You don’t want lice in your home. You don’t want to have a child sent home from school with lice or with a note explaining another child in their class was sent home with lice. How to get rid of lice is a big question, and it’s one that has an unpleasant connotation. The good news is that you can get rid of lice, and your family will be back to normal sooner rather than later. The bad news is that lice are tricky, and it’s a lot of work to get rid of it. The first step in learning how to get rid of lice is to refrain from panicking. Lice might be disgusting, but it’s not dangerous. It will not hurt you or anyone in your home. It doesn’t carry or transmit disease, and it’s not harmful to you in any way other than being irritating. Stay calm, and learn how to get rid of lice the easy way. If you don’t get rid of it in its entirety the first time, you’re going to face it again. Getting rid of lice means handling not only the hair of all the kids in your house, your own hair, and your spouse’s hair. It involves treating anything and everything it can live in that you have at home. Lice, or louse when they are in numbers, are wingless insects. They’re parasites, to be frank, but they are not harmful to your overall health. This little insect likes to get into hair and nest, and it’s where they lay their eggs and feel right at home. They cause a great deal of itching, and they do seem gross. What they do is eat the dead skin on your head while also sucking the blood. They’re a lot like the fleas your cat or dog brings home, but they’re the human version. Most people who have lice are school-aged children. Adults can get lice, but it’s less likely an adult will end up with lice than a child. Kids spend a great deal of time dressing up, using other kids items, and playing with the clothing and items that other kids also play with. This close contact allows lice to latch on to them and make their home in a child’s hair. It’s devastating when you realize your child has lice, and it means you’re spending some time with them at home while you treat their hair and everything you own. When you’re learning how to get rid of lice, you’re going to learn a few things about these bugs you did not previously know. For example, the common misconception is that lice are found in the heads of dirty kids. They aren’t as common in the heads of clean children, and your kids cannot possibly have lice. This is all a misconception. Lice actually prefer clean hair they can latch onto. They are less likely to find a home in dirty hair. Any child can get lice, and it’s not uncommon for them to appear often during the school year. The simple answer about what causes lice is the easy contact people have with one another. They can live on clothing, backpacks, sheets, bedding, carpet, and rugs. They can get into your child’s hair from the hair of a child who is sitting close them during a project at school. 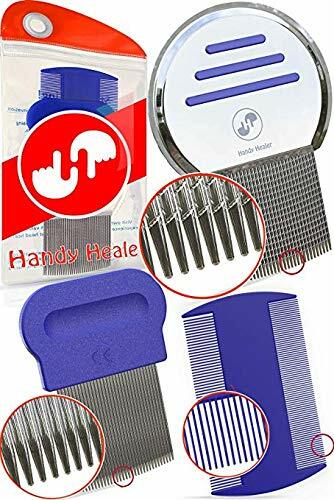 They can get into your hair when you share a brush with someone who has it, and when you share clothing or hats with someone who has lice. Learning about lice is helpful, but learning how to get rid of lice is what makes the biggest difference. How to get rid of lice is a delicate process and missing a step can cause you to go through the entire ordeal again. Here’s how to get rid of lice effectively. 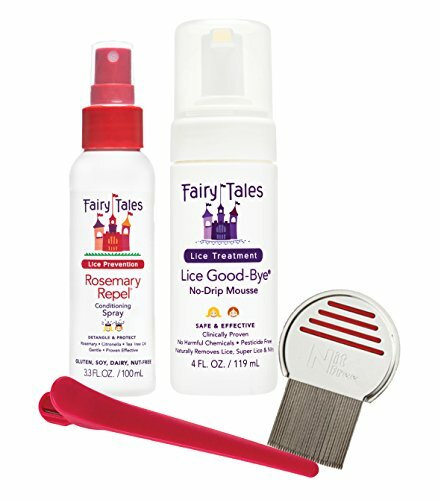 Anyone in your home who has lice in their hair needs this treatment. Lice treatments can be purchased in any supermarket or store pharmacy, but they’re only meant for use on those who have lice in their hair. Do not use it on everyone in the house just in case. Read the instructions carefully and understand that it is a mild pesticide. It’s safe for human use and effective in killing lice, but it’s something you must carefully monitor as you use it. 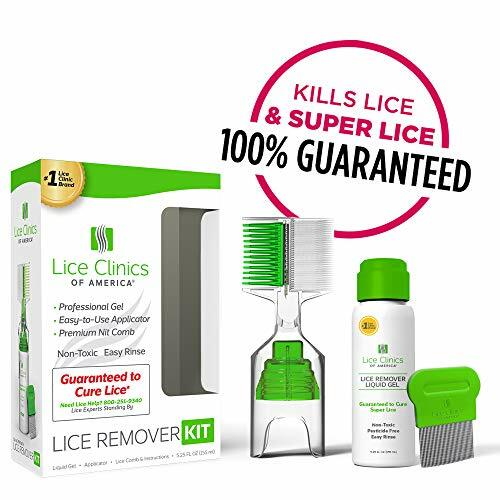 Now that you’ve used the treatment, you must remove each and every lice and nit in your hair. This treatment kills them, but you have to get them out of your hair. This is done with a comb and patience. Sit down with your child and carefully go through every strand of hair to remove all nits. These are more common along the back of the hairline along the neck and behind ears, but they can appear anywhere in the hair. Now that you’ve removed nits and killed lice, you must clean anything that can harbor lice. They don’t live long when they are not in your hair, but they can live for several hours on other items. Start in the car and vacuum all car seats and cloth seats thoroughly. If your kids’ hair was near the car seats or cloth seats in your vehicle, lice can transfer. Once your car is clean, do the same to all furniture, rugs, and carpets in your home. Vacuum them thoroughly and carefully. If you have a carpet steam cleaner or shampooer, use that once you vacuum for maximum success when you’re trying to figure out how to get rid of lice. Remove all sheets, pillows, and stuffed animals from beds. Stick everything you can in the washing machine and use hot water to wash all of it. If you cannot wash it in the washing machine, put the item in the dryer on a high-heat setting and let it dry on a cycle or two. The heat kills lice, and that’s what you’re trying to do. Wash every hat or scarf or anything else that comes into contact with your child’s head the same way. Hair brushes should be soaked in hot water for no fewer than 10 minutes, but replacing them entirely is always the best option. Learning how to get rid of lice might seem like a lot of work, and that’s because it is. However, you can do it if you take the time to do it correctly. If your child has lice, your child’s school might require you to keep them home. While it might feel like punishment for parents who have kids at home because of lice, it’s not. It’s helpful to keep kids home until their infestation is completely gone so that they do not re-infest themselves or other children. The problem will not go away if your child spreads lice to other students. It can become an ongoing problem. Learning how to get rid of lice is helpful when you have lice, but it’s preventing lice that’s the best option for everyone. Preventing lice is easy, but you must know what helps. Do not encourage your children to share items with other kids. This includes hair ties, headbands, brushes, hat, scarfs, or anything that goes over their head. Jackets are included in this list. It’s also important to remind your kids to minimize their head-to-head contact with other kids. Do not lean into their hair so lice can jump from one head to another. This can be difficult when kids share a table or desk at school, but it’s helpful. Keep hair up. If you have a child with long hair, put their hair up in school. It’s also helpful to spray their hair with hairspray. It makes hair less appealing to lice. Girls with long hair find it beneficial to wear their hair up in buns, ponytails, and braids. It makes it less convenient for lice to get into their hair. If you have lice in your home, be sure you get rid of it entirely before you allow your child to go back to school. Stopping the problem early helps, and it prevents reinfestation thus reducing the problem.